Another weekend come and gone...unbelievable! It was a God filled weekend. Comments from a first time visitor and several attendees I talked to were very willing to express their delight in what they had learned this weekend at Crossroads! I always consider these conversation to be a gift straight from the Lord. I am not often in our Town Square as people exit, in stead I am usually making suggestions to the team or changing a detail last minute. 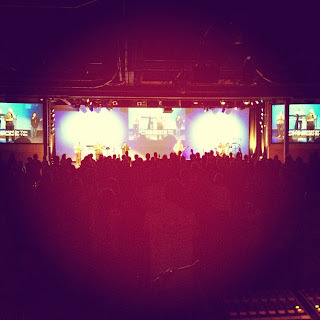 The teaching and worship were extraordinary...again!